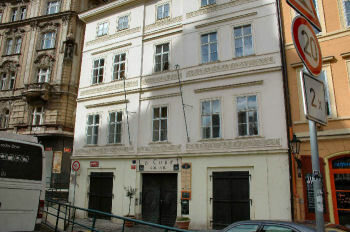 This charming studio is situated in the heart of the historic old city, in Hastalska street. 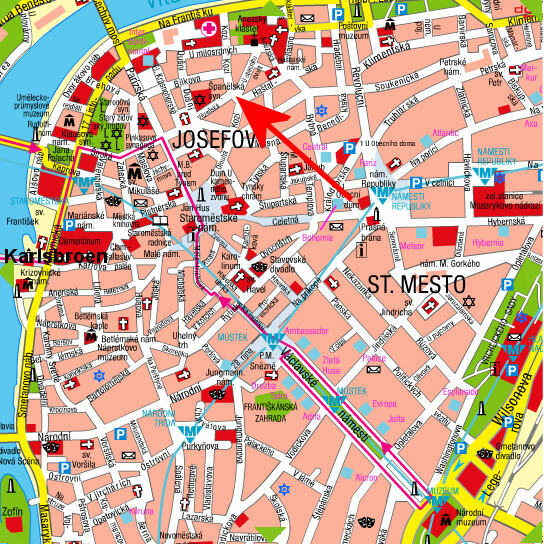 From the small square in front of the building you have a view directly on the Tyn Church on Staromestske Namesti (Old Town Square). So all the exciting sights of Prague are right in front of you, waiting to be discovered. The street is quiet, and beautiful houses surround it. The apartment is situated on the first floor of a nice building without an elevator. The windows are facing a gallery pointing towards a quiet courtyard where you’ll find a little café. 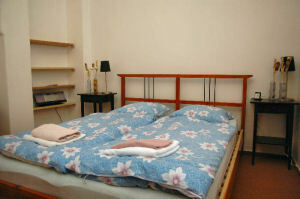 The accommodation consists of a roomy living area with a large double bed. For your comfort there’s also a sofabed, where you can relax in front of the TV/dvd or listen to your favorite Cd. One extra person can sleep here. You can enjoy your breakfast in the apartment at the dining room table with 3 chairs – or you can go to the café in the courtyard, of course. The kitchenette is separated from the living room, and here you’ll find a coffee maker, electric kettle, fridge, electric hub, and of course basic cooking equipment and all the necessary cutlery, glasses etc. The bathroom has a walk in shower, toilet and a hair dryer. Copyright © 2012 Praha Expert. All Rights Reserved.